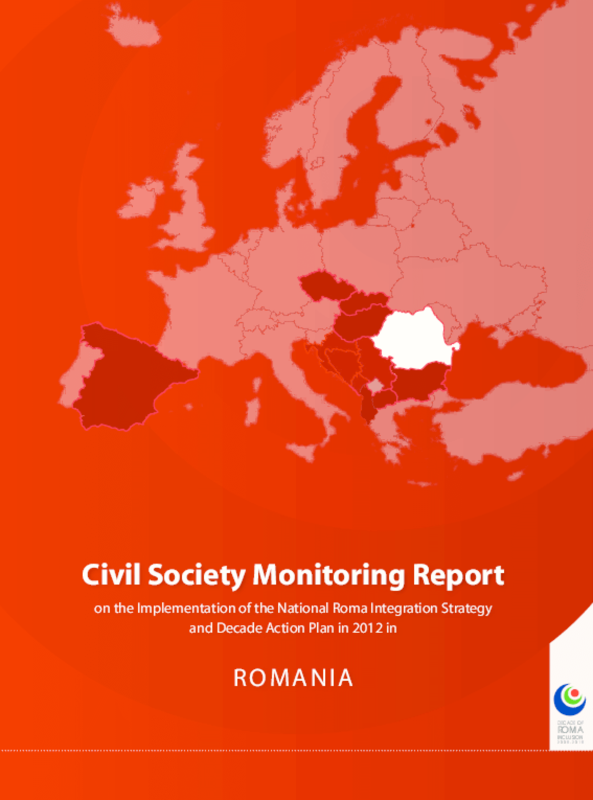 After a decade of attempts to deal with the problems faced by Roma, the Romanian government prepared a new policy document in the broader context of the European Commission (EC) Communication in April 2011, regarding the elaboration/adoption of National Roma Inclusion Strategies by member states. The new policy "The Strategy of the Government of Romania for the Inclusion of Romanian Citizens Belonging to the Roma Minority for the Period 2012-2020" (the National Roma Inclusion Strategy -- NRIS) replaces previous Roma policy documents adopted in 2001 and revised in 2006 (and which expired in 2011). Romania was among the first to sign the Decade of Roma Inclusion documents and also held its first Presidency, but in spite of these commitments, the Romanian government has never adopted a Decade Action Plan. In 2006, the Romanian government issued government decision no. 870/2006, which established the standard quality requirements for government strategies. In our analysis, the NRIS does not meet these requirements, generating significant difficulties for its implementation and monitoring. An action plan also needs to comply with certain standards of a policy document. A simple review of the NRIS action plan proves that it does not live up to these basic standards. Moreover, the NRIS falls short of the European Union's requirements, as outlined in the EC Communication (April 2011). The NRIS's elaboration was a rather superficial process. Very few suggestions and comments formulated by a large group of NGOs were considered and can be found in the final version of the NRIS adopted by the Government in December 2011. In 2009, the Presidential Commission for the Analysis of Social and Demographic Risks proposed a new approach to tackling Roma issues, reflected in "a genuine and constant political approach to the challenges of ensuring equal opportunity policies for the Roma minority". This recommendation is marginally reflected in the text of the current NRIS, and it remains a goal to be achieved considering the limited political capacity of the Roma community to act as a strong and reliable partner of public bodies. The Power of the Latino Vote in America: They Tipped Elections in 2008; Where Will they be in 2010?